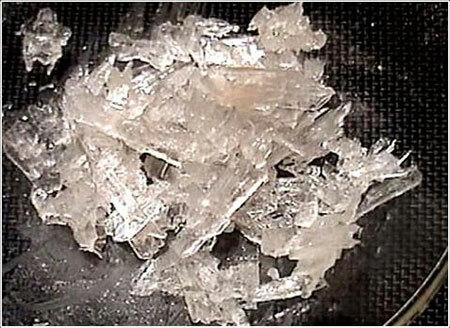 Seven parcels of meth were destined for the Philippines, according to the report. A woman, Donnica Mae Rabulan of Panorama City, is one of three suspects. Three Los Angeles people accused of being part of an international drug trafficking ring are in custody on federal charges alleging they used the Darknet to obtain drugs and offer narcotics for sale, and then shipped pound quantities of methamphetamine to buyers in the Philippines, New Zealand, Poland and other foreign destinations. The case is the result of an investigation led by U.S. Immigration and Customs Enforcement’s (ICE) Homeland Security Investigations (HSI) Los Angeles, with substantial assistance from the U.S. Secret Service, U.S. Customs and Border Protection and the U.S. Postal Inspection Service. •	James Caleb Kueker, 41, of the Hollywood Hills. Rabulan, who in addition to the conspiracy charge faces four counts of distributing methamphetamine, was arraigned Monday afternoon in U.S. District Court. Kueker, who also is charged with one count of possession with the intent to distribute ketamine, as well as with one count of possession of a firearm in furtherance of a drug trafficking crime, was also arraigned on Monday. Rabulan and Kueker each entered not guilty pleas and were ordered to stand trial June 4. Goldberg, who also faces one count of intentionally distributing methamphetamine, is scheduled to be arraigned April 8. The eight-count indictment followed a criminal complaint filed March 1 that outlined how the three defendants used the Darknet to purchase narcotics with cryptocurrency such as Bitcoin, and then made 59 shipments of methamphetamine and other illegal drugs to international buyers. During the course of the alleged conspiracy, Goldberg was arrested on an unrelated fraud case and was sentenced to 42 months in federal prison on that matter. In May 2018, one shipping company security manager in Van Nuys contacted federal law enforcement about seven parcels destined for the Philippines that were suspected of containing controlled substances, according to the affidavit in support of the complaint. The seven packages cumulatively contained nearly 21 kilograms of methamphetamine, and had contact information with telephone numbers linked to Goldberg. The indictment alleges that Rabulan shipped methamphetamine to international buyers, while Kueker collected tens of thousands of dollars in illicit proceeds from the sales on Goldberg’s behalf. Search warrants executed by HSI special agents on March 11 led to the discovery of suspected drug labs at Kueker’s homes in the Hollywood Hills and Valley Village, as well as a loaded AK-47-style rifle in the bedroom of Kueker’s Hollywood Hills residence, court papers state. HSI agents also recovered more than $150,000 in suspected drug proceeds in a safe deposit box registered to Kueker, according to court documents. Three residents of the house were arrested and were charged in separate indictments alleging possession with intent to distribute a controlled substance. If convicted on all counts, each defendant faces a statutory maximum sentence of life in federal prison. The conspiracy count carries a mandatory minimum sentence of 10 years in prison. The count alleging firearm possession in furtherance of a drug trafficking crime carries a five-year mandatory minimum prison sentence.